Factory-restored cymbals from Sabian at a significant discount. 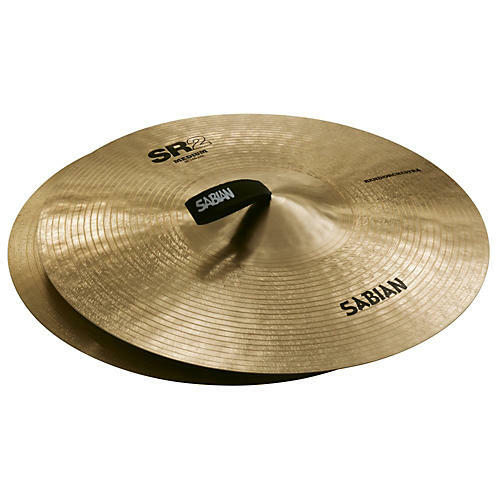 Starting their lives as AA, AAX, HH or HHX model cymbals, SR2 series cymbals are Sabian B20 cast cymbals that are returns from trade shows, artist loaners, store displays, and more. After a thorough inspection process, qualifying models are refurbished (polished removed, re-lathed and re-labeled) and sold as SR2 - where they're available to you at a great price! A refreshed sound worth treasuring. Order today!